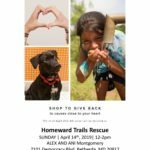 Homeward Trails is thrilled to be joining North Shore Animal League America, and more than 100 shelter partners across the country, to celebrate Hallmark Channel’s Kitten Bowl V game with a Kitten Bowl Party event. 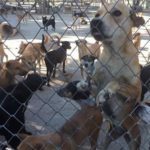 The highlight is finding homes for adoptable cats and kittens as well as dogs and puppies. Come join the party at one of our events on Sunday, February 4, 2018. 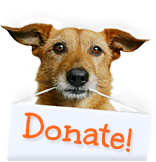 We’ll have awesome adoptable dogs and cats, game day snacks, and giveaways, and two lucky adopters will get their adoption fees waived! 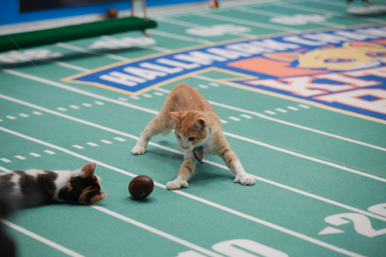 Kitten Bowl is the greatest feline football showdown in cable television history and has resulted in over 1,800 adoptions nationwide over the past three years. The competition will be hosted by North Shore Animal League America’s Volunteer, Foster mom and National Spokesperson, Beth Stern, who will be joined by Peabody Award-winning reporter, Mary Carillo, the voice of the New York Yankees John Sterling, and four-time Pro Bowl quarterback and Feline Football League Commissioner (FFL) Boomer Esiason to capture every adorable moment of fleet-footed, fur-flying kitten play-off. 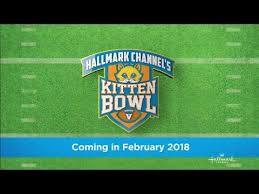 Kitten Bowl V will premiere Su-PURR Bowl Sunday, February 4, 2018 (12 p.m. ET/PT) on the Hallmark Channel. All of the players in the actual Kitten Bowl competition have found loving homes through Hallmark Channel’s partnership with North Shore Animal League America – the world’s largest no-kill, rescue, and animal adoption organization. 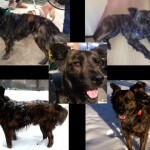 However, we have plenty of fabulous felines and canines waiting to find their new, loving homes. Stop by one one of our events and take home your team’s MVP.